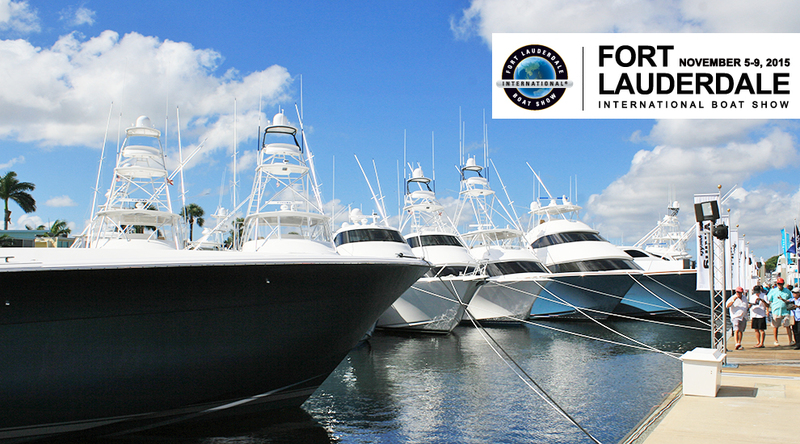 The 2015 Fort Lauderdale International Boat Show is the largest in-water boat show in the world, stretching over seven marinas with billions of dollars of boats available for viewing. The FishTrack crew walked the show and got to check out all of the new boats and gear. 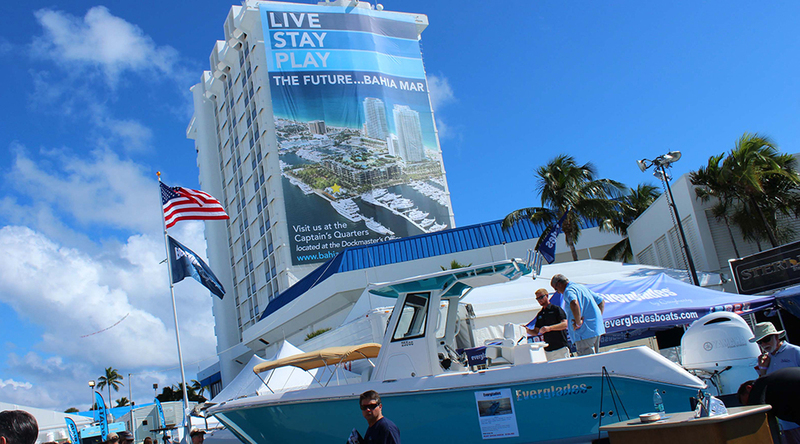 Most of the action is situated at the Bahia Mar hotel and marina on the Intracoastal Waterway in Fort Lauderdale, Florida. 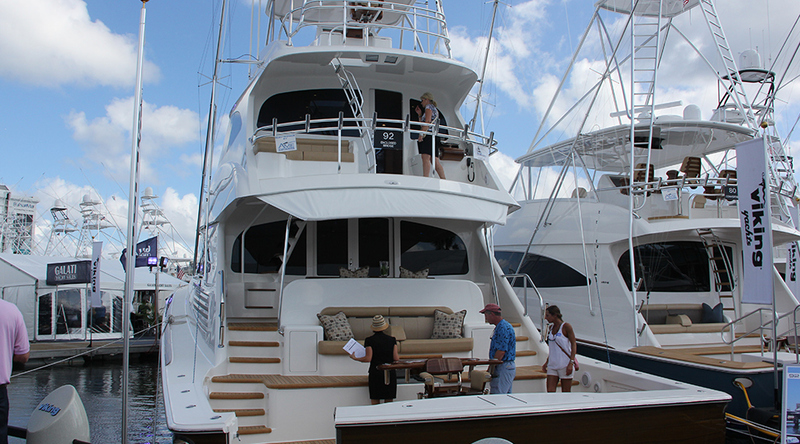 Viking Yachts had several gorgeous vessels in the water for viewing, including the 92-foot sportfishing yacht. 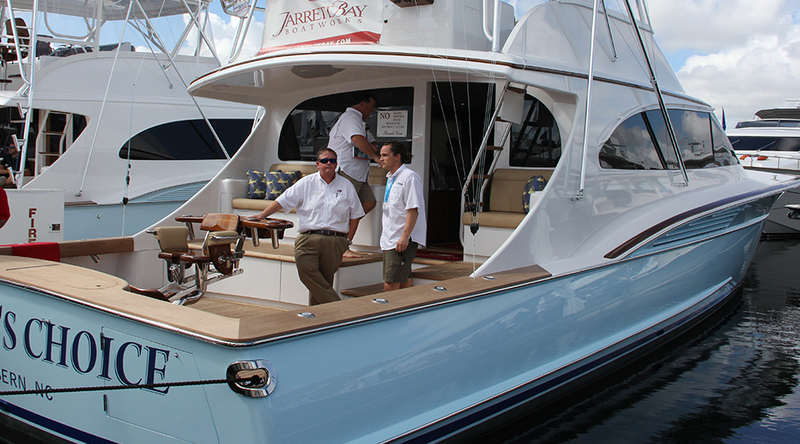 There was also a brand new 80-footer. 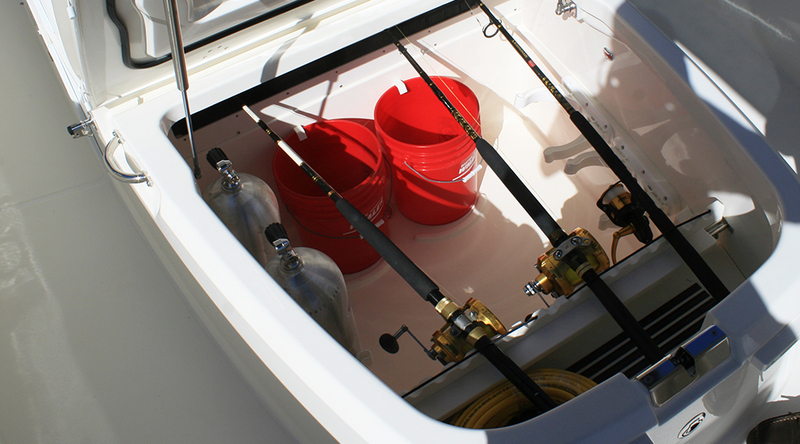 Boston Whaler takes great pride in designing boats that provide plenty of comforts for the family, and room to fight fish. 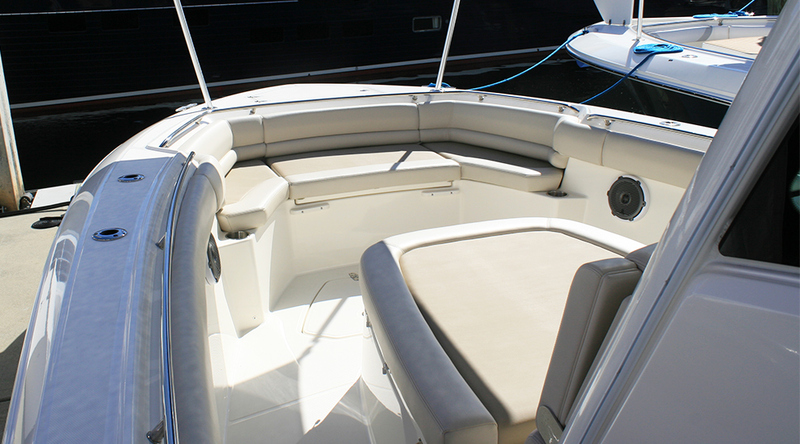 Check out all the storage space under the large bow settee on the 330 Outrage. You need room for all those toys! 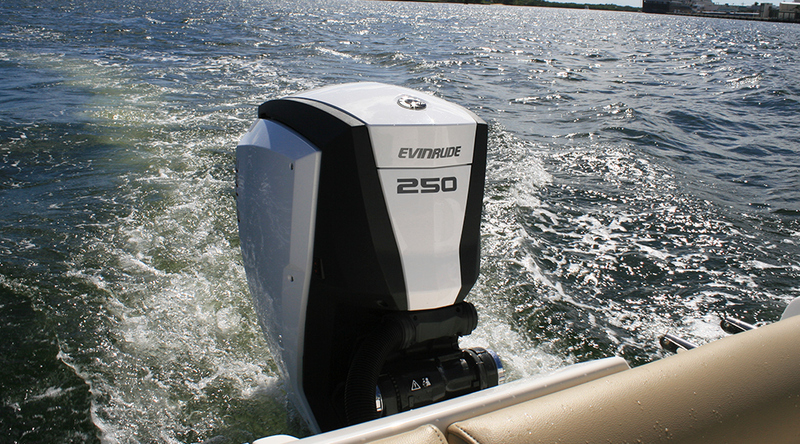 The 250-hp Evinrude E-Tec G2 outboard is one of the most maintenance free engines on the water. 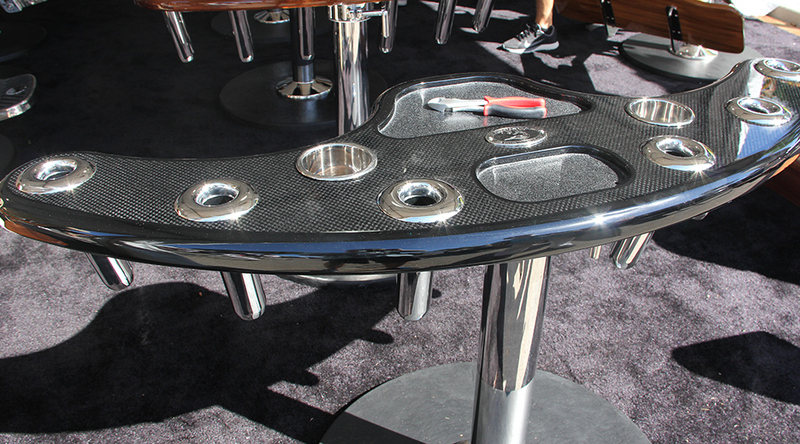 And, you can customize the color of the engine cover to match your boat. We ran the motor and were impressed with its hole shot speed and top-end performance. 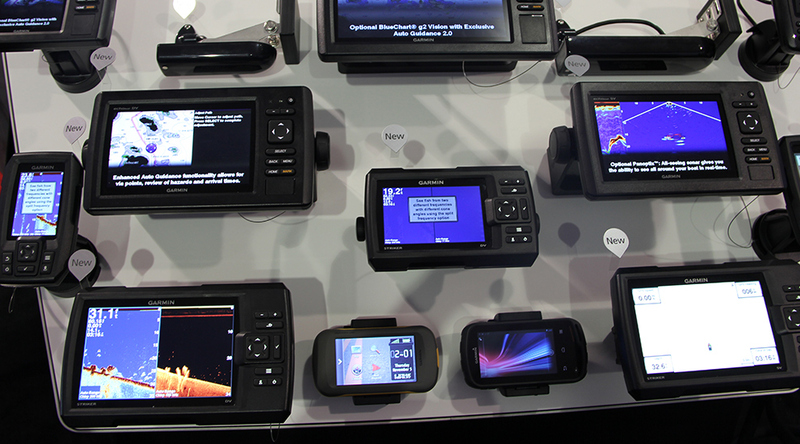 The FishTrack editors scored a chance to get on the water and test out some new innovations in marine electronics during the show. 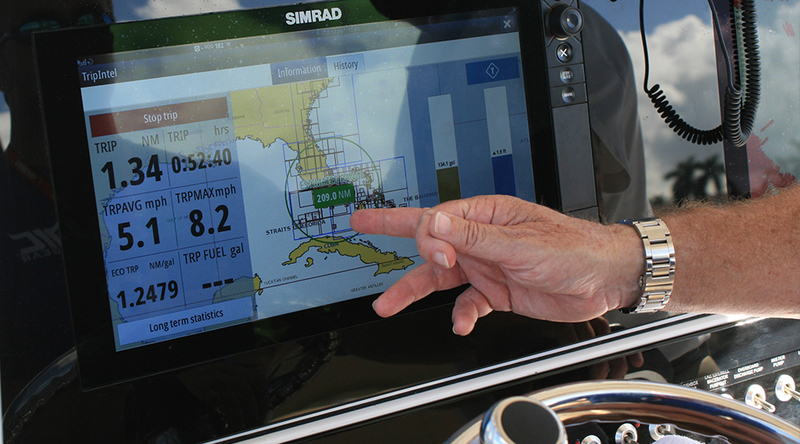 Here, TripIntel functionality on a Simrad NSS Evo2 display tracks your trip and displays fuel consumption in real time. The system will even show a maximum range on the map that changes according to engine RPM and speed. There were plenty of smiling faces to greet show-goers such as this group representing the Offshore Fishing League. 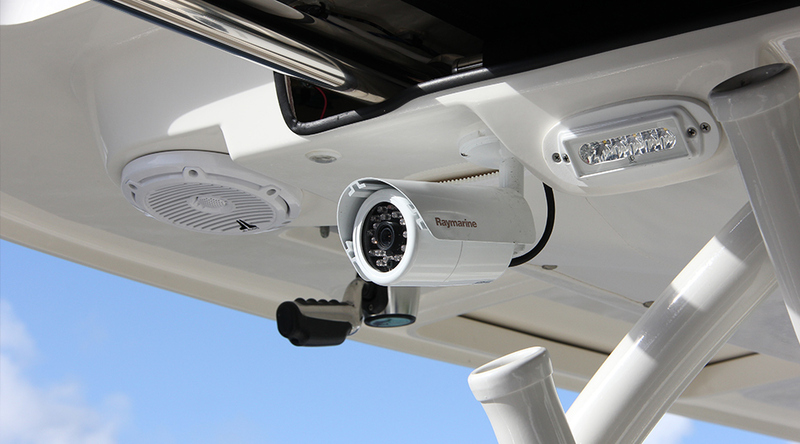 The Raymarine CAM100 sends a hi-def video image right onto the screen at the helm. You can also record the action with a standard SIM card. The camera also has built in thermal vision to help you see at night and LED lights to light up the deck. We love good ideas and this rocket launcher from Pompanette has a high-powered magnet built into it so tools won't slide off when you're fishing. Now that's a great idea! 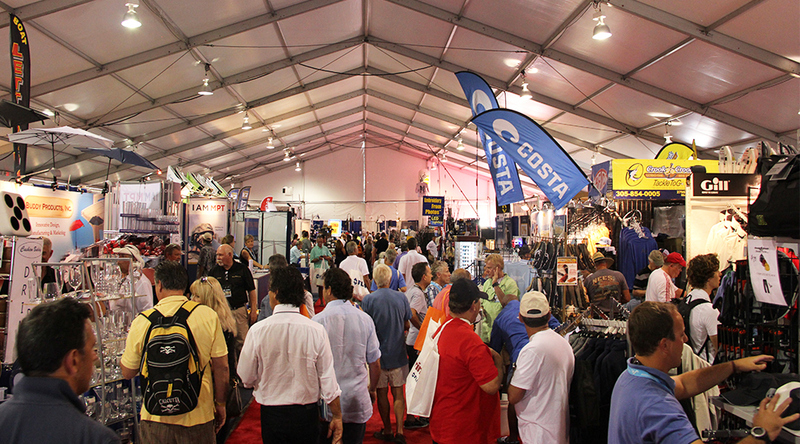 The 2015 Fort Lauderdale Boat Show was the largest on record with more exhibits, more boats and more attendees. Dr. 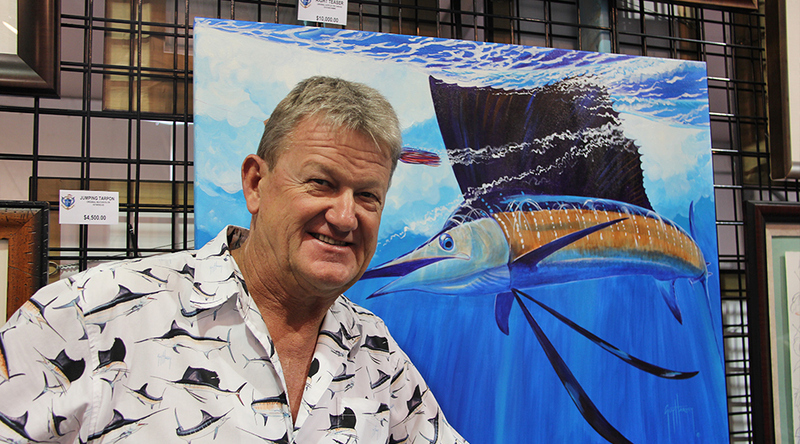 Guy Harvey took a quick break from signing shirts and posters for his fans to take a quick photo. Harvey is not only a popular marine artist, he's a dedicated marine conservationist and FishTrack hopes to work with him on some of his shark tagging efforts. Another great idea. 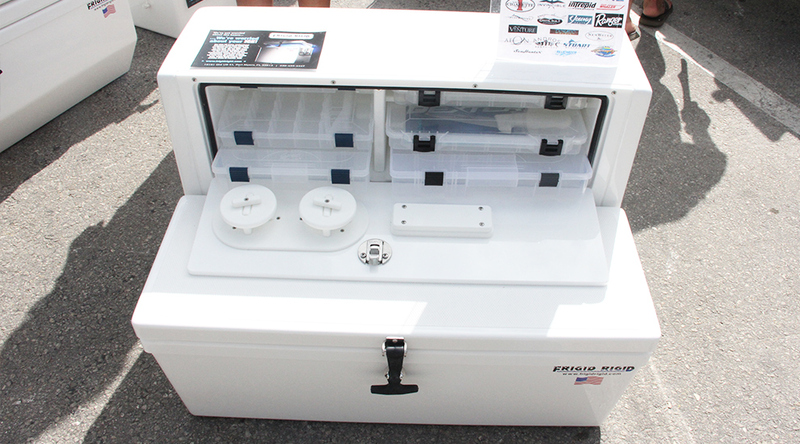 This unit from Frigid Rigid integrates a complete tackle station with its freezer for an all-in-one unit that won't take up as much space in the boat. 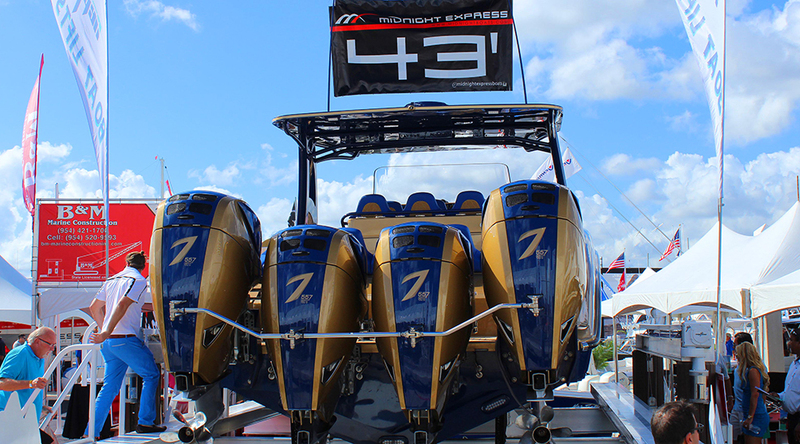 If you're looking to go fast, the boat show offers some of the most powerful boats on the planet, including this 43-foot Midnight Express powered with four 557-hp outboards from Seven Marine. 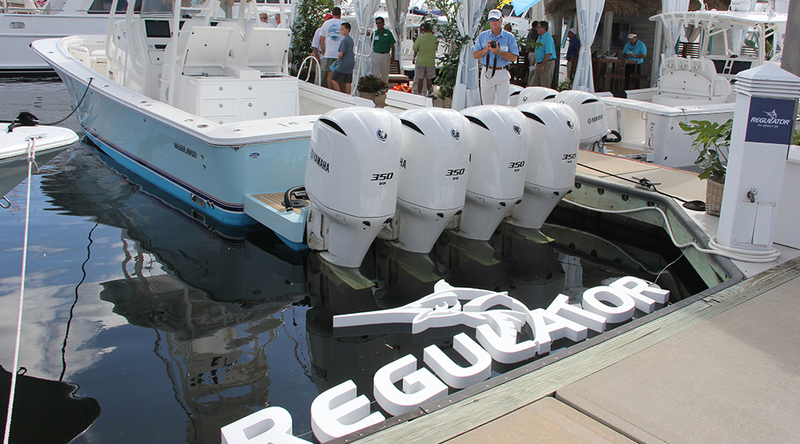 These boats are configured to accommodate up to SIX outboards! Garmin announced that it is now offering CHIRP sonar technology across all of its depth finders, big and small. 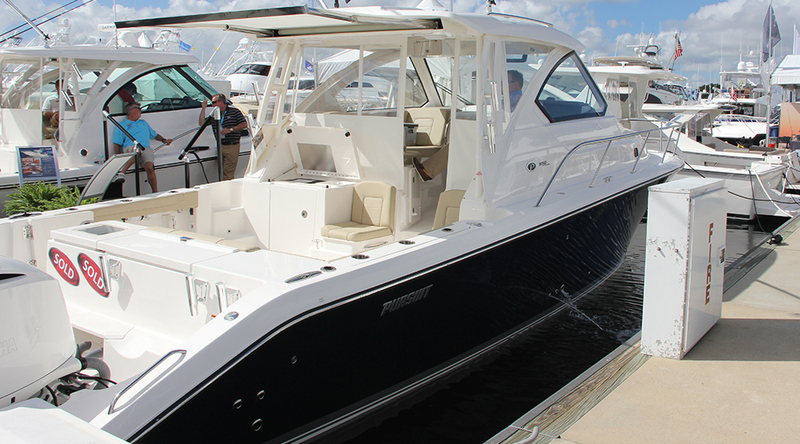 Pursuit had a full line of new boats at the boat show including this express with a retractable sun shade. The new 64 Jarrett Bay Builder's Choice was a true crowd stopper. This Carolina hull cruises at 37 knots and can top 43 knots at wide-open throttle. The 41 Regulator is a serious fishing platform with all the possible bells and whistles you could want and plenty of power to be the first boat to the rip. 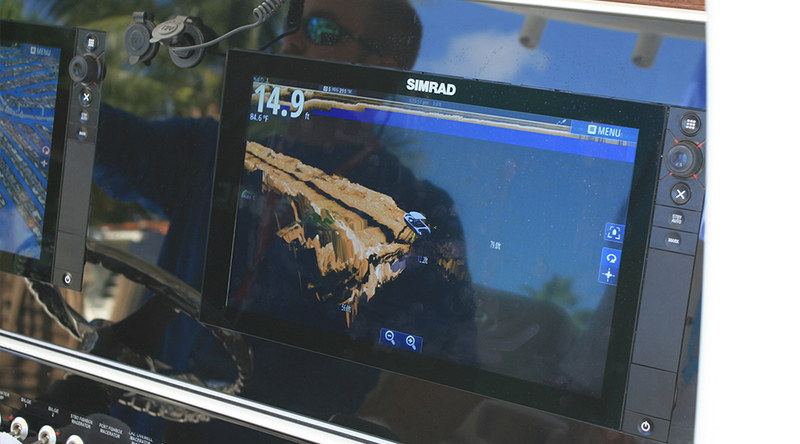 An on-water demo of Lowrance StructureScan 3D (also available for Simrad NSS evo2 displays) shows off the amazing capabilities of this new innovation. StructureScan 3D offers an 180-degreee, 3D view of bottom structure, and color-codes fish and bait schools. By scanning a route and retracing your steps, you can see the entire bottom laid out before you. 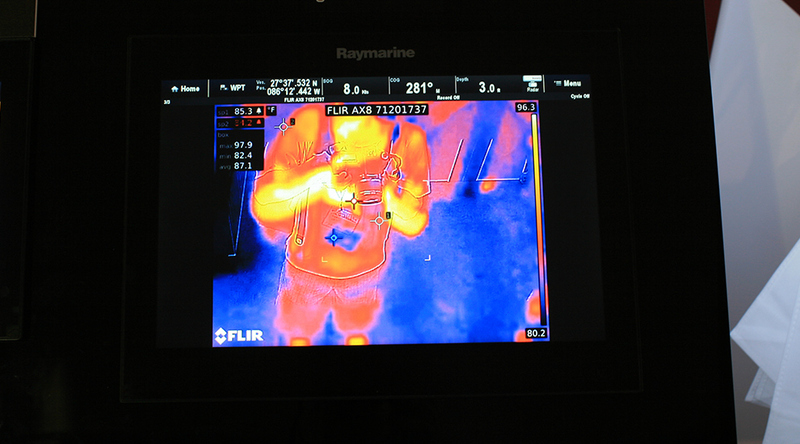 The FLIR AX8 thermal imaging camera provides temperature readouts for up to six separate spots in real time, and could help avoid disaster in your engine room. The AX8 will help you monitor the operating temperatures of a number of key components at once, and the camera also offers temperature alarms for when things run too hot.